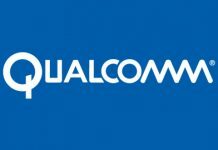 Home Technology News Qualcomm Snapdragon 845 Has Been Launched! 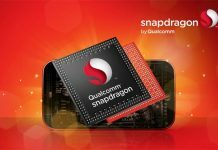 Qualcomm Snapdragon 845 Has Been Launched! 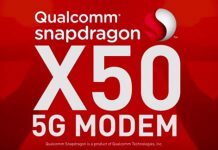 The US chip company Qualcomm has finally made the new Snapdragon 845 official and promises, as usual, an increase in performance and energy efficiency.Of course, the new Octa-core SoC will first be found in high-end smartphones, but will also end up in Windows-based devices such as tablets and laptops in the medium term.Here we have all the details of the new chip. Qualcomm is probably the world’s leading supplier of processors for smartphones that are not part of the Apple ecosystem – correspondingly large expectations are for the new Snapdragon 845. The chip maker emphasizes innovations in the fields of artificial intelligence and virtual reality, in fact also referred to as SDM845 chip but play its most important role in smartphones, after all, it will do his part in the Samsung Galaxy S9, among other things. The Qualcomm Snapdragon 845 Mobile Platform, as the official marketing term, again uses a customized ARM design, which, like its predecessor, is not a design entirely modified by Qualcomm, but rather a variant that has been modified and supplemented in various areas of what ARM is providing as an architectural supplier in the form of the ARM Cortex-A55and Cortex-A75 cores officially launched at Computex 2017. Specifically, the Snapdragon 845 has integrated eight so-called “Cryo 385” CPU cores, while an “Adreno 630” is supposed to provide neat graphics power. The production is based on a structure width of 10 nanometers, whereby Qualcomm relies on the Samsung 10nm LPP FinFET process – the Korean electronics giant thus takes over the production of Qualcomm again and earns accordingly. Only a few days ago, Samsung announced the start of mass production based on this new production technology. 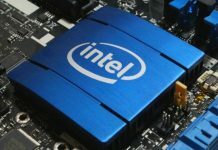 In each case, a plus of 10 percent in terms of performance and a reduction in power consumption by 15 percent of the previously used method for the production of 10-nanometer chips was mentioned in its works. Qualcomm promises, however, that through various optimizations and adjustments to the Snapdragon 845, it wants to offer up to 25 percent more performance than its predecessor, the Snapdragon 835. Qualcomm explicitly mentions using a customized version of the latest design developed by ARM – without specifically mentioning the Cortex A55 and A75 architectures. The fact that the so-called ARM DynamIQ technology and thus the mentioned architectures serve as a basis, suggests Qualcomm’s statement that, as in ARM’s specification, it is set to two megabytes of shared L3 cache. 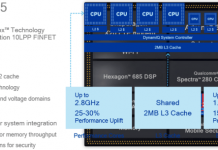 The Snapdragon 845 has four power-efficient and four performance cores, and ARM’s DynamIQ eliminates the separation of the two different CPU architectures into separate clusters. Instead, integrating both architectures into a common cluster ensures that the tasks to be managed are better distributed and that storage is managed more efficiently. The four power-saving Cortex-A55 cores of the Snapdragon 845 run at a maximum of 1.7 gigahertz, while the four high-end cores based on the ARM Cortex-A75 architecture can even reach up to 2.8 gigahertz. 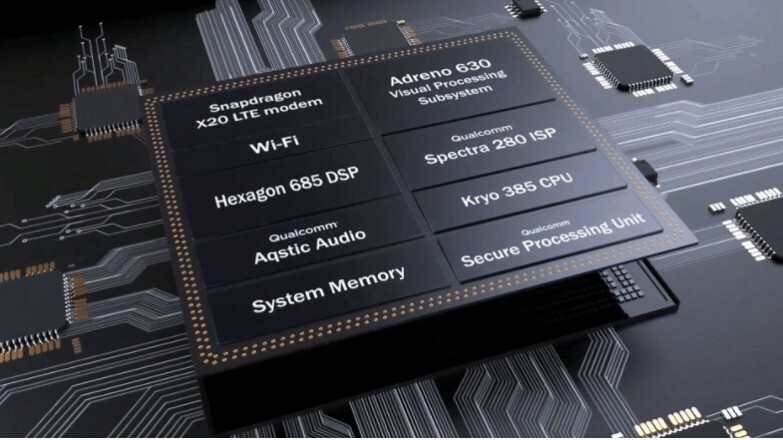 At the clock rate of the Adreno 630 GPU Qualcomm made so far no information, but promises up to 30 percent increased performance and also 30 percent less energy consumption. The image refresh rates are likely to increase accordingly without the need for more power.Officially, displays with up to 2400×2400 pixels are supported, whereby up to 120 Hertz image refresh rate should not be a problem. What’s new is that Qualcomm provides support for so-called foveated rendering, which reduces resolution beyond the user’s point of view for more power in virtual reality systems. For the first time in a mobile chip, it also offers support for “6-Degrees-of-Freedom” tracking, so that better mobile VR headsets can be realized. Unlike Huawei and Apple, Qualcomm does not integrate additional processing units for Artificial Intelligence tasks. Instead, it implements optimizations that are said to add up to three times the performance of AI workload. CPU, GPU and the DSP called Hex 685 work closer together to share the tasks that are easiest for them to do. Especially the “Digital Signal Processor” (DSP) will be responsible for AI tasks in the future and of course also for image processing. How well this works, without a separate AI processor to use, has yet to show. 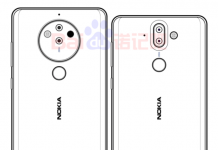 In terms of camera support, the resolution does not change much, because the Snapdragon 845, like its predecessor, offers the option of dual cameras with up to 16 megapixels or a single camera to install with a maximum of 32 megapixels. Among other things, the new Spectra 280 ISP (Image Signal Processor) can process slow-motion pictures at up to 480 frames per second at 720p resolution. In addition, you can record videos at 60 frames per second at a resolution of up to 16 megapixels. In addition, the 64-fold amount of HDR information is to be recorded. The Snapdragon 845 LTE modem brings even higher transfer rates, as previously announced. Known as the Snapdragon X20, the LTE modem supports Cat.18, so it can run at up to 1.2 gigabits per second downstream and 150 megabits upstream. Among other things, this will be possible via 5x Carrier Aggregation and 4×4 MIMO via up to three network operators. Dual-SIM devices now support VoLTE on both slots. In terms of Wi-Fi, the 802.11ad standard in the 60-gigahertz band is now supported, so that transfer rates of up to 4.6 Gbps would be feasible. Qualcomm also integrates the Snapdragon 845 with its own Secure Processing Unit (SPU), which stores important information such as biometric data from fingerprint readers, iris or face scanners, as well as security-relevant user information and encryption data from apps in a secure enclave away from the operating system or app stores. The power supply via QuickCharge 4+ is supposed to provide up to 30 percent more efficiency and up to 15 percent faster charging than with QC 4.0. Within 15 minutes, equipment equipped with this equipment should be able to charge 50 percent of its battery capacity. Thanks to Bluetooth 5.0 with aptX and aptX HD codec support, audio data can easily be transmitted simultaneously to multiple devices and wireless headphones can be used more energy efficiently. Overall, the integration of ARM DynamIQ technology, which allows cores of different architectures to work in a single cluster, should provide the Snapdragon 845 with a noticeable performance boost. The fact that the clock rate is growing strongly is a surprising development for some observers, so it remains to be seen how effectively the production in the new Samsung 10nm LPP FinFET process helps to keep the power consumption in check. Also Read: How Rich Would You Be If You Bought Bitcoin Worth $1000 A Year Ago? The first devices with the new Qualcomm Snapdragon 845 Octacore SoC and its up to 2.8 gigahertz clock frequency will be introduced from the beginning of 2018. Among other things, LG and Samsung are likely to present early with devices such as the G7 and the S9. 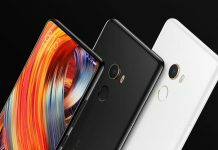 Even the Chinese manufacturer Xiaomi has already announced the corresponding hardware. 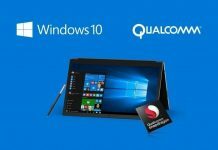 Looking at Windows 10, Qualcomm also announced that the Snapdragon 845 will be used in notebooks and tablets, as suggested recently by a Microsoft job advertisement. When to expect the first Windows devices on the new base, is still not known.